Jack Collette started Collette Tours in Rhode Island in 1918 with a bus of travelers that left Boston headed for Florida. That three-week adventure cost just $68.50. Now, 100 years later, our company takes guests to all seven continents (yes, to Antarctica, too!) and employs hundreds of people around the world. We remain headquartered in Pawtucket. In 1962, Jack Collette sold the company to my father, Dan Sullivan Sr. I joined the company in 1973, and in 1990 I took the reins. Today, there are still eight members of our family working for Collette. We had a record year in 2017, and 2018 is off to a great start with a huge double-digit lead. Most of the companies we competed with in the 1970s and 1980s are gone, but we’ve evolved—because of the talent in this organization and because we’ve really listened to what guests want. We’ve changed our distribution model, our product and our marketing, and created immersive experiences to meet the locals (for example, in New Zealand, we take people to a farmhouse where you sit down to dinner with a local family). A common misconception here in Rhode Island is that we employ travel agents. In reality, it’s so much more. We offer employment in areas like marketing, human resources, IT and product development. We’ve also changed what touring means for travelers. But after all these years, we haven’t changed where we’re headquartered. That’s still Rhode Island. Other states have approached Collette about moving our business. We’ve stayed because we love being on the Blackstone River, we love Pawtucket, and we love Rhode Island. We’re close to Boston and only five minutes from Providence. It’s important for me to point out that we’ve not only stayed in Rhode Island, but more specifically, in Pawtucket because we see it as the right location, having the most exits in Rhode Island along Route 95. 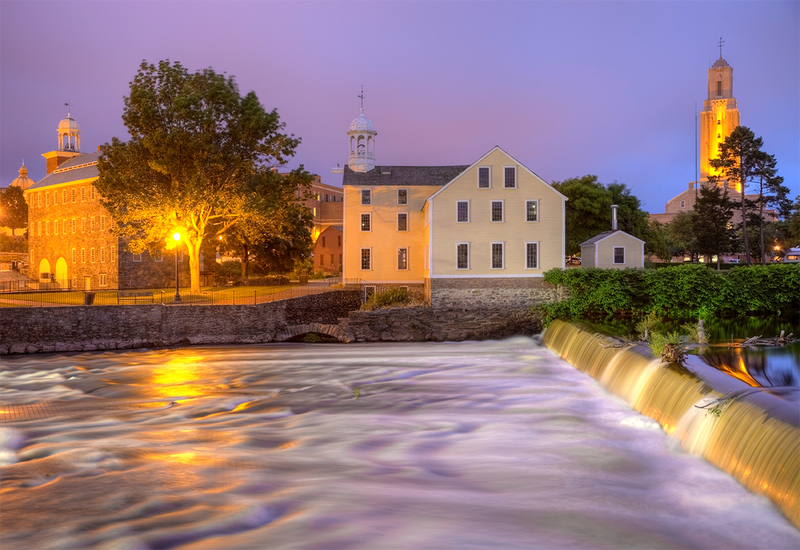 When Alexander Hamilton first saw Slater Mill in Pawtucket in the late 1700s, he said it was the future of America. At that time, most of the U.S. was agrarian, and he understood that the mill was an economic engine that had only just begun to turn. And when Greene and Daniels Manufacturing Company was founded in Pawtucket in the mid-1800s, it sparked an economic emergence that lasted in the region until the mid 1960s, after which manufacturing declined. Now, there’s an opportunity for Pawtucket to experience another resurgence, for us to take advantage of so many people today who want to live in mills and of tech companies that want to base their operations in mills. Further, we see an opportunity for Pawtucket to be branded as the gateway to Rhode Island. Collette is one of the top-ranking travel companies providing concierge experiences around the world. Whether you are going to Vietnam or France or Ireland or the National Parks, you’ll find that we’re a leader in every one of those categories. We offer 165 tours, including running tours to Iceland three times a week. But we always come home to Pawtucket. Dan Sullivan is president and CEO of Collette.